I’m always looking for healthy alternatives to foods that I love that are not the healthiest – like bacon. 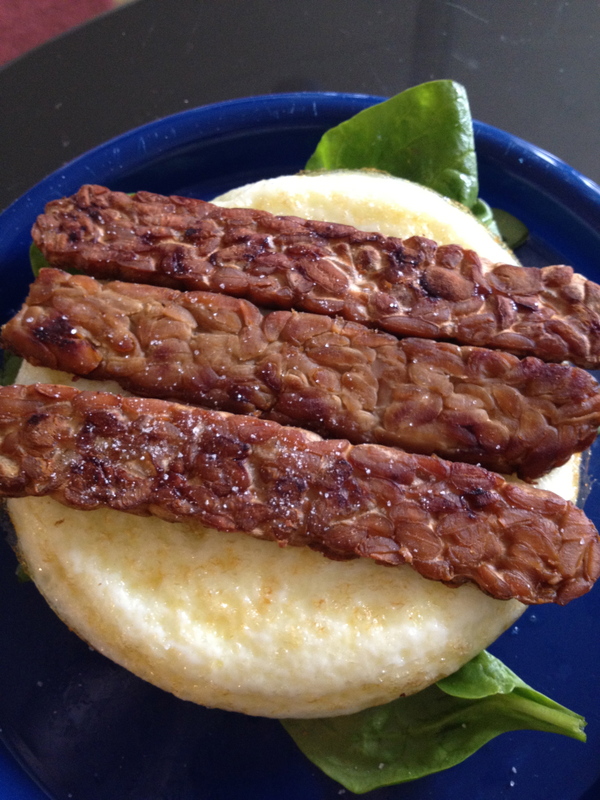 One of my fellow Tone It Up sisters on twitter (@FrancesGetsFit) posted a pic of a BLT using tempeh bacon. I decided to look for it the next time I was in Whole Foods. I didn’t see the brand she used (Fakin Bacon .. I think). 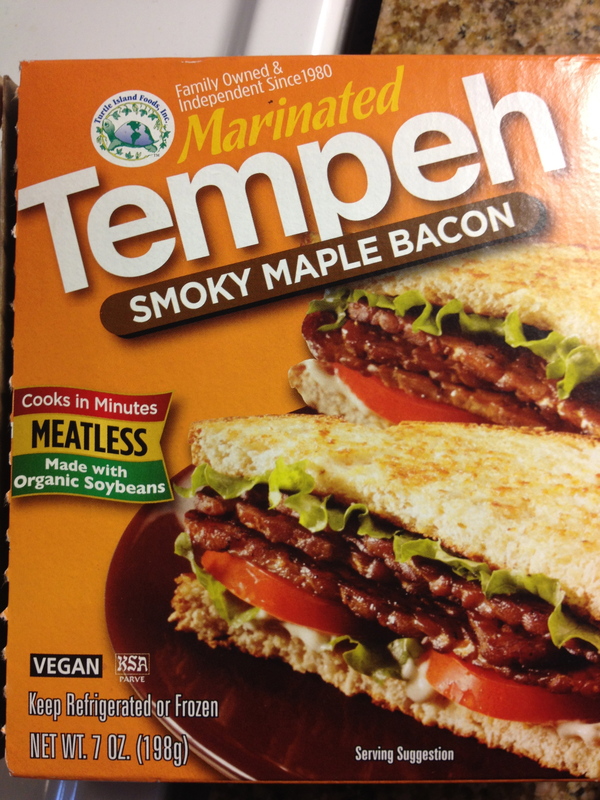 But I did find some tempeh bacon. It took me a week to get around to trying it. Not because I didn’t want to. I don’t cook bacon that often to begin with so I had to think about using it. 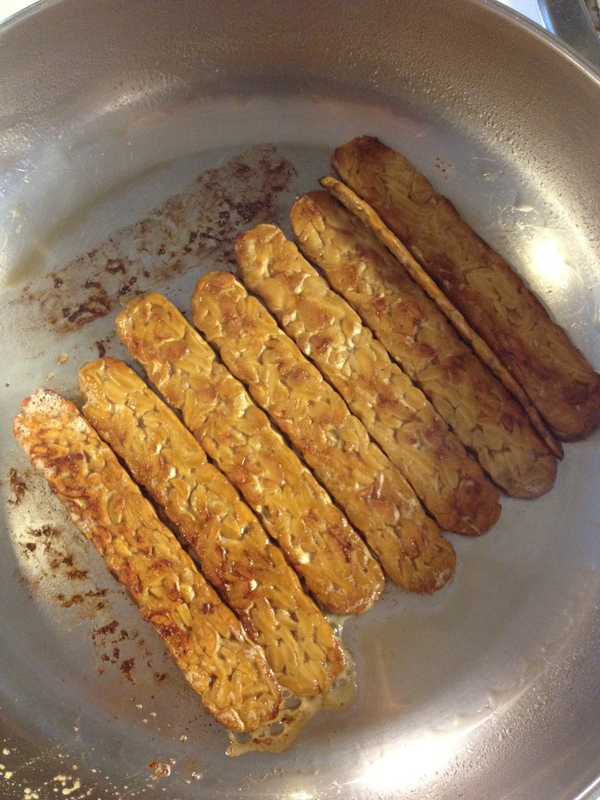 When I opened the box and took out the package, it looked like thinly sliced tempeh so I was really curious to see what they tasted like. I just used olive oil cooking spray and placed the pieces on there. Cooked it a couple minutes on each side. It was really very easy to prepare and it smelled just like bacon. I served it with 2 egg whites on top of spinach. What I really liked was how healthy it was. 7 pieces of 1 serving!! I only had 4 and that was plenty. 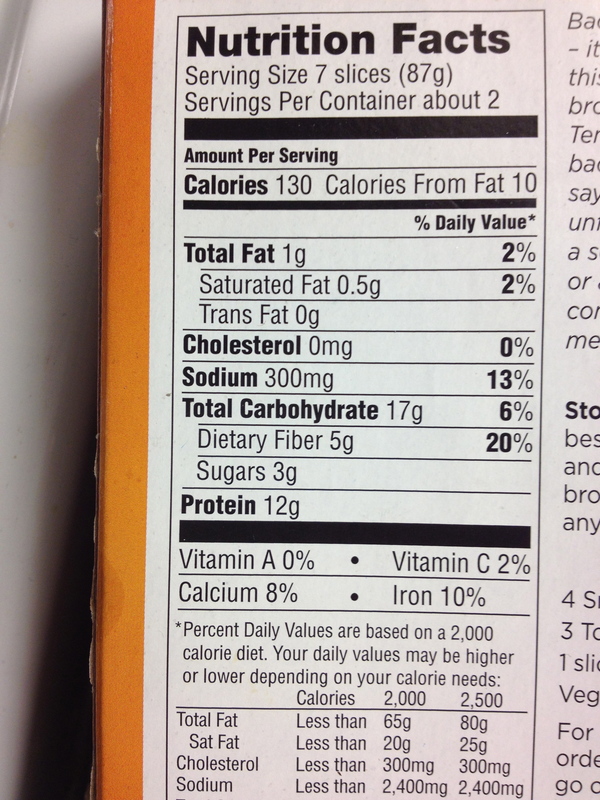 Only 1g of fat, 130 Calories, 3g of Sugar, and 5g of fiber!